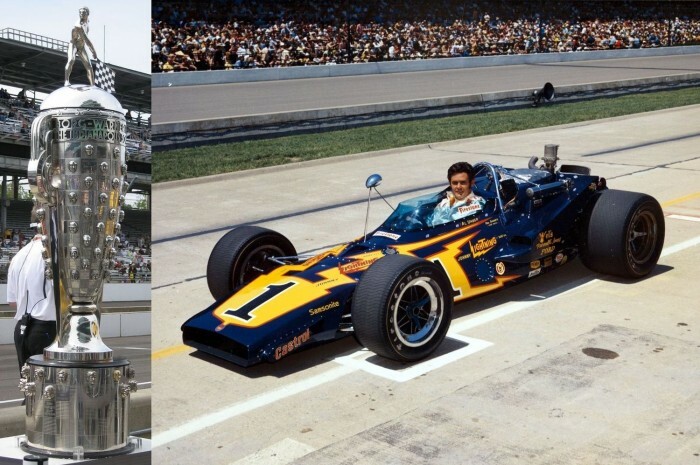 The Borg-Warner Trophy and Al Unser in the Johnny Lightning Special, twice winner Indy 500. Photos: Sarah Stierch and courtesy Indianapolis Motor Speedway Museum. Amelia Island, Fla. – Of course, race cars get all the attention: They’re fast, loud, oftentimes flashy, and driven by men of legend. But those men of legend don’t just race for the thrill of it. They race for the money, the recognition and, not least of all, the trophies. For the first time ever this year, some of the most prestigious and historic motorsports trophies will gather in one place as the Amelia Island Concours d’Elegance pairs them with some of the most noteworthy cars that won them. So Warner went to work putting together a list of the most famous trophies in motorsports. Some seemed like no-brainers, like the Borg-Warner Trophy, which has gone to the winner of every Indianapolis 500 since 1936 and remains with the Indianapolis Motor Speedway. Warner decided to pair it with the Ford V-8-powered Johnny Lightning Special that Al Unser drove to victory in both 1970 and 1971 and that nowadays resides in the Unser Racing Museum in Albuquerque, New Mexico. Frank Wheeler and three other local men opened the Indianapolis Motor Speedway in 1909. Prior to the inauguration of the Indianapolis 500 in 1911, the Wheeler-Schebler company sponsored the Wheeler-Schebler Trophy Race at the track. The $10,000 trophy was sterling silver and designed by Tiffany. Descriptions of this masterpiece of silversmithing put its height at anywhere from seven to eight and a half feet. It was the traveling trophy for winning the premiere events of the Indianapolis Motor Speedway’s race meets in 1909 and 1910. The Trophy was retired briefly with the introduction of the Indianapolis 500 in 1911, but reinstated in 1913 as the prize for the team leading at the 400-mile mark. 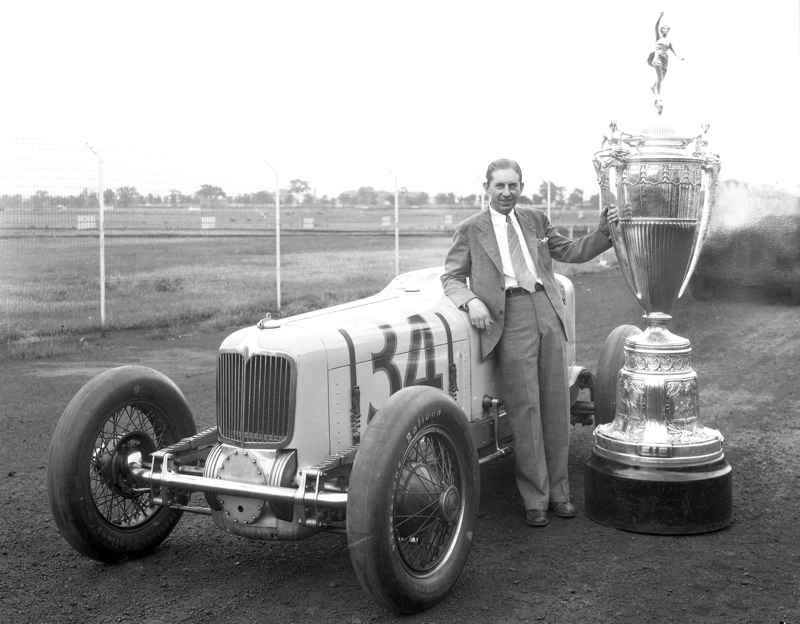 As the deed stipulated that the trophy would be permanently awarded to the team winning it for three consecutive years, it was presented to driver turned entrant Harry Hartz when his Miller-Hartz cars won the award in 1930, 31 and 32. It was returned to the Indianapolis Motor Speedway in the 1950’s and stands proudly today at the Speedway’s Hall of Fame Museum. 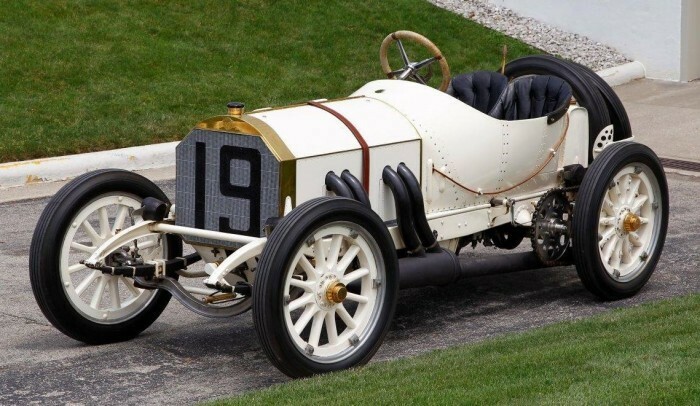 At Amelia Island, the trophy will be paired with the Old Number 10 Buick, winner of the 1909 race. Other trophies that will go on display include the Harley J. Earl Perpetual Trophy, awarded to winners of the Daytona 500, which will be paired with the Richard Petty No. 43 Plymouth Road Runner that won the 1971 Daytona 500; the Stevens Challenge Trophy, awarded from 1927 to 1954 to any manufacturer capable of sustaining 60 miles per hour over a 24-hour period at the Indianapolis Motor Speedway, which will be paired with a Cord 812 speed record car; the 1965 24 Hours of Le Mans trophy, which will be paired with the Ferrari 250LM that Masten Gregory and Jochen Rindt drove; the 1949 24 Hours of Le Mans trophy, which will be paired with the Ferrari 166MM that Luigi Chinetti and Peter Mitchell-Thomson drove; the 1914 French Grand Prix trophy, which will be paired with the Mercedes that Christian Lautenschlager drove; the Maurice G. Bauer Trophy, “awarded” to winners of the Cannonball Baker Sea-to-Shining-Sea Memorial Trophy Dash, paired with the Ferrari Dino that Jack May and Rick Cline drove in 1975; and the trophy awarded to the winner of the Race of Two Worlds (500 Miglia di Monza), paired with the 1958 John Zink Leader Card Monza Special Watson-Offenhauser roadster that Jim Rathmann drove. In addition, the display will pair a replica of the Challenge Cup presented by W.K. Vanderbilt Jr. (the original sits in storage at the Smithsonian) paired with the 1909 ALCO Black Beast; and the Alec Ulmann Trophy from the Sebring 12 Hour, which will be paired with an OSCA MT4, built by the Maserati brothers and overall winner of the 1954 race. Warner said the trophies will go on display in the Ritz-Carlton hotel from Thursday through Saturday and then take their positions on the field with each car on Sunday, March 13th. 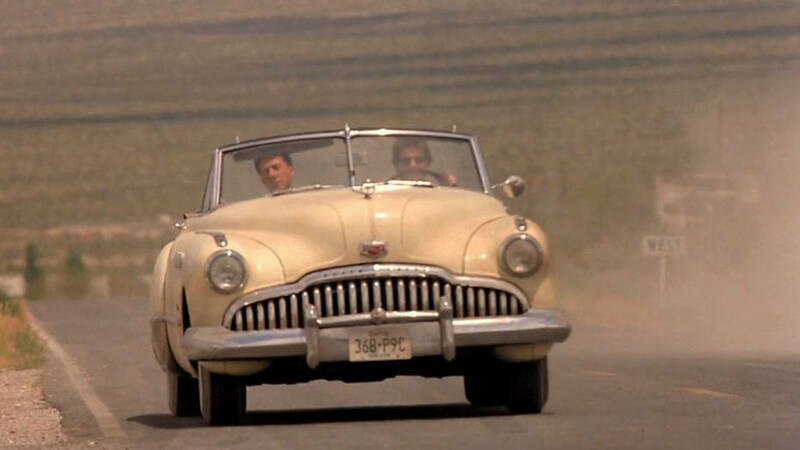 Amelia Island, Fla. – A late entry is coming to the 21st Annual Amelia Island Concours’ Post War American Production class March 16, 2016: The 1949 Buick Roadmaster convertible, one of two used to make the film “Rain Man,” makes its international concours debut. Wayne Carini of Portland, Conn., star of Velocity TV’s “Chasing Classic Cars,” restored the car for the film’s director Barry Levinson. You’ll recall Levinson’s 1988 film — it tells the story of Charlie Babbitt (Tom Cruise), a car dealer in financial straits. When his estranged father dies, Babbitt learns the old man bequeathed his fortune to Charlie’s older autistic brother, Raymond (brilliantly played by Dustin Hoffman). All Cruise’s character gets is his father’s prized rosebushes and the Buick. Raymond and Charlie go on a cross-country road trip starring the Buick because Raymond refuses to fly. Hoffman won an Oscar for his portrayal of Raymond, and Levinson for his direction of the Best Picture classic. According to the movie’s production notes, Levinson chose the Roadmaster, with its “pipe organ” grille and art deco styling, because “there’s just something very classic about it,” he said. With only 8,000 1949 Roadmasters produced, the filmmakers scoured the country before finding three that were in good enough condition to film. 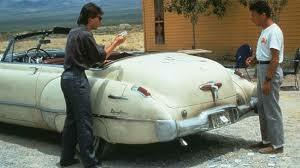 The car eventually restored by Levinson had its rear suspension modified to accommodate the extra weight of a camera rig and cameraman, who filmed Hoffman and Cruise from the trunk. Amelia Island Concours founder and Chairman Bill Warner called the Buick a “styling landmark.” He points out the VentiPort — those holes in the fenders – debuted with the 1949s and is still part of Buick design. “We’re very pleased to have one of Wayne Carini’s restorations on the field once again,” Warner said. This year’s Amelia Island Concours runs March 11-13, 2016 on the 10th and 18th fairways of The Golf Club of Amelia Island at The Ritz-Carlton, Amelia Island. The show’s Foundation has donated more than $2.75 million to Community Hospice of Northeast Florida Inc. and other Florida charities since 1996. For more concours information, visit www.ameliaconcours.org or call (904) 636-0027. 1949 Buick Convertible seen in “Rain Man” recently restored by Wayne Carini of Portland, Conn.
Edison, N.J. – Joseph Cassini III not only ruled from the judge’s bench in the courtroom, but cars from his collection have been honored on concours d’elegance show fields from coast to coast, including best-of-show accolades in 2013 at Pebble Beach for his 1934 Packard 1108 Twelve Dietrich Convertible Victoria. Now that the judge has retired from the bench, and while he waited as his next star car underwent restoration (his LeBaron-bodied ’31 Stutz DV-32 Convertible Victoria won the American Classic Closed Award at Pebble Beach in 2016), Cassini had time to apply himself to something new. Cassini is the founder of a new concours. 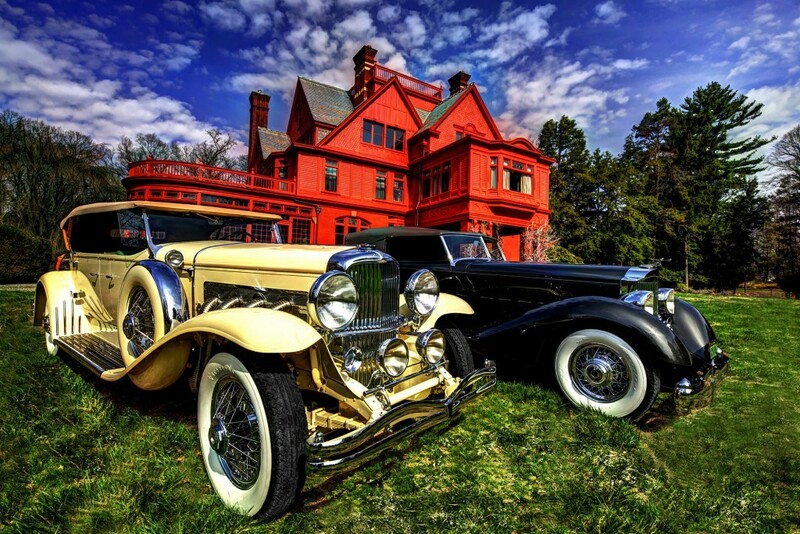 The inaugural Edison Concours d’Elegance is scheduled for October 16-18 at Glenmont, the historic home of Thomas A. Edison on 16 acres in Llewellyn Park, New Jersey. 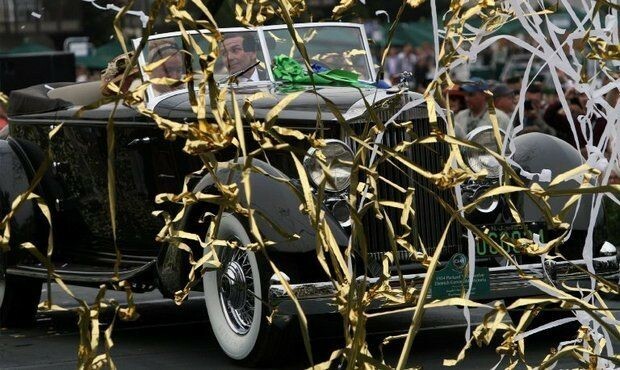 The seed for the event was planted soon after Cassini’s Packard won at Pebble Beach. He was having lunch with a friend, a lawyer with whom he had worked in a law firm before becoming a New Jersey Superior Court judge. The friend was chairman of a foundation that supports the Edison Innovation Foundation and the Charles Edison Fund (Charles was Thomas’s son and was elected New Jersey’s governor in 1941). Cassini’s friend’s renovations were being done on the garage at Glenmont and he thought a car show might help with that effort. The garage isn’t some simply car shelter but a two-story building that housed the world’s first electric-car charging station, which is still there. Edison and his wife each had a Detroit Electric. He also converted a Locomobile from steam to electric power. The garage also holds the Ford Model T that Henry Ford gave Edison, and Cassini thinks that car is the oldest single-owner T in existence. Cassini said the concours will be open to 90 cars, with 15 classes of six cars each. There will be a class for electric vehicles, he said, adding that 80 percent of the cars on display will be pre-war machines and that the newest car on the field will be 1960 models. As for cars produced since 1960, he said, “You can go to your local car gathering (from cars and coffees to cruise-ins) on the weekend and see those cars.” Cassini said the show field will reflect his own current interests in the classics. But, he added, his tastes have changed. Cassini’s father owned a trucking company that did contract demolition work, and Cassini spent a lot of time as a youngster in the shop, learning from the mechanics and using the equipment to build his own go-karts and mini-bikes. 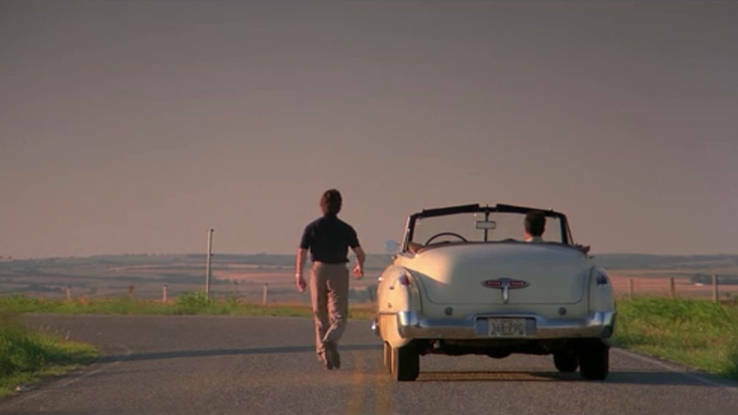 After law school, Cassini took a road trip across the country to Los Angeles, where he saw a 1956 Ford Thunderbird for sale. He kept thinking about that car all the way home, and after returning to New Jersey, he did a deal to buy the car. For some 15 years he collected 1950s and ’60s cars — Thunderbirds, E-type Jaguars, split-window Corvettes and Corvette roadsters. But then, in the early 1990s, he attended his first Classic Car Club of America event and marveled at the Packards, Stutz, Cords and Auburns. Before long, those were the cars he was collecting, restoring and showing at concours. For more information about the event and the charities it will benefit, visit the concours website. LAKEVILLE, CT – Lime Rock Park Historic Festival 33 Chairman Murray Smith scored another coup by securing yet another historic Mercedes competition car to join the five already confirmed; he’s arranged for one of the very few remaining 1928-1932 Mercedes-Benz SSKs to join the already outstanding display. In particular, it’s the streamlined SSK built for Count Carlo Felice Trossi. The spectacular “Trossi SSK,” owned by Ralph Lauren, won best of show at the 1993 Pebble Beach Concours d’Elegance and the 2007 Concorso D’Eleganza Villa d’Este. The SSK’s extreme performance and numerous competitive successes made it one of the most highly regarded sports cars of its era. Fewer than six entirely original SSK models remain. The SSK was the last Mercedes-Benz designed by Ferdinand Porsche before he left to found his own car company. 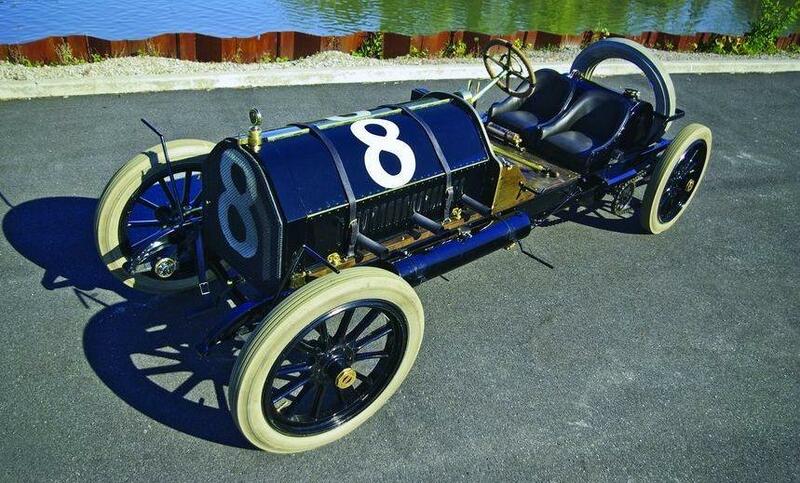 The 1908 Mercedes Brooklands, is the sole survivor of only three produced. A Mercedes Brooklands finished fourth in the inaugural 1911 Indy 500 driven by Spencer Wishart, just 10 seconds behind Ray Harroun’s winning Marmon Wasp. In the 1912 Indy 500, two Brooklands started – one by Wishart and one by Ralph De Palma – and De Palma very nearly won. In the car he nicknamed the Gray Ghost, he led 195 laps, but then a connecting rod broke. De Palma was able to coast one more lap but in the end he was classified 11th, behind winner Joe Dawson. 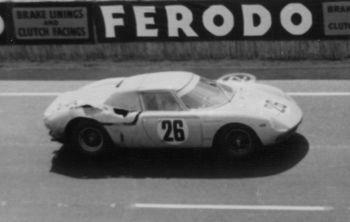 (Wishart completed 82 laps and finished 15th.) These Brooklands were fitted with 583 cubic inch 4 cylinder engines. The records of the individual Brooklands cars are difficult to distinguish from each other; the racers were leased and loaned to many owners and drivers. De Palma’s Brooklands was later lost in a fire. The Mercedes Brooklands has been kindly lent to Lime Rock by the Indianapolis Motor Speedway Hall of Fame Museum. PEBBLE BEACH, CA – Richard “Dicky” Riegel III, a member of the duPont family, has a strong first memory of the only duPont Model H in existence. As he and friends emerged from their first grade classroom, his grinning father awaited him in the one-of-a-kind car. 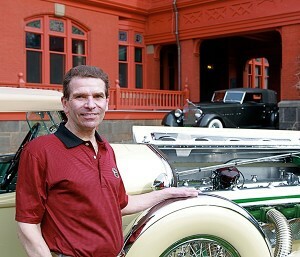 Dicky’s father, the late Richard “Jerry” Riegel Jr., bought the 1931 duPont Model H Sport Phaeton in 1962, and after driving it for decades he restored it for the Pebble Beach Concours d’Elegance in 2005. There, it was First in Class and Most Elegant Open Car—an award often just a step away from Best of Show. 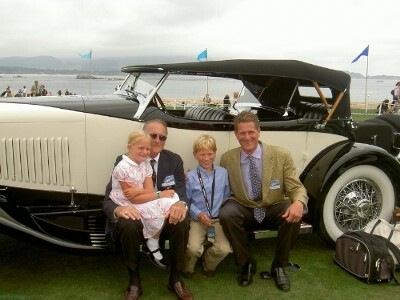 This year Dicky returns to Pebble Beach with the same Model H, now co-owned with his son Richard. 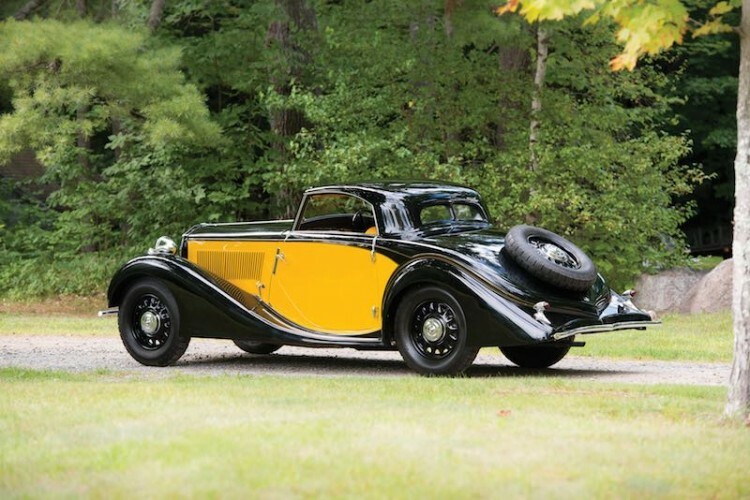 Six other duPont family members will also be bringing their elegant automobiles to the forthcoming Concours on August 16, where duPont is a featured marque. Only 537 automobiles were created by E. Paul duPont in a short twelve-year span from 1919 to 1931. About 30 remain in existence, and more than half belong to duPont descendants. Whether inheriting a legendary automobile or landing one at an auction, taking ownership of a duPont car has become a rite of passage. The duPonts now strive to keep the marque alive. The duPont family transformed the early automotive world in many ways. They held leadership roles that helped define the multi-tiered nature of General Motors, they saved Indian motorcycles from an early demise, and their fast-drying paints and modern fabrics decorated classic cars from a multitude of marques. Their automotive legacy continues on in the world and in the lives of many duPonts today. Automotive enthusiasts from around the world will flock to California’s Monterey Peninsula the second week of August, culminating with the prestigious Pebble Beach Concours d’Elegance on Sunday, August 16. As usual, several events will take place across multiple days, including auctions, historic races, art exhibits, and more. Ferrari is this year’s featured marque. A special class will include examples of Ferraris that competed in the Pebble Beach road races of the 1950s, a street competition that predated Laguna Seca Raceway on a course that took drivers through the narrow, forested roads near the grounds of the current Concours. The last road race at Pebble Beach was in 1956, when driver Ernie McAfee fatally crashed his Ferrari into a tree. The days of competitive street racing at Pebble Beach are gone, but spectators will have the chance to see many of the Concours d’Elegance entrants in action on Thursday, August 13, driving down a route that spans 17-Mile Drive and a portion of Highway 1. 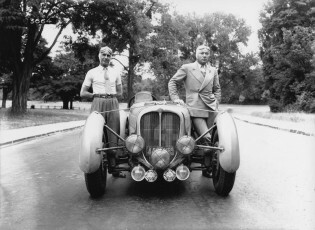 Besides a collection of cars that bear the DuPont nameplate, this year will also feature designs by Italian coachbuilder Carrozzeria Touring, postwar examples of cars built by America’s Cup racer Briggs Cunningham, and early vehicles by Pope, a Hartford CT based bicycle manufacturer that experimented with several models, including electric vehicles. Beverly. MA – In 2010, the launch of a Concours d’Elegance show on Boston’s historic North Shore area was welcomed with great enthusiasm and excitement. Since then, thousands of people have roamed the Misselwood Estate to explore the magnificent display of antique cars and motorcycles, each significant in their own field. While concours car owners consider the spectacular oceanfront setting to be the Pebble Beach of the East Coast, the sloping lawns, hidden corners and manicured landscaping make for one of the most scenic concours shows in America if not the world. Concours d’Elegance shows date back to the 17th century, whereby horse-drawn carriages paraded in the parks of Paris. Over time, these carriages were replaced by horse powered automobiles to be judged on their appearance in a “concourse of elegance”. The Misselwood Concours d’Elegance honors that tradition, as cars and motorcycles compete for various Best in Class awards, and ultimately for the coveted Best of Show Award. In 2014, the top-honors were given to a 1914 Locomobile Model 48 Berline, owned by Pebble Beach and Amelia Island judge Bill Alley. Alley is a former Olympian and a retired mechanical engineer who is committed to the preservation and history of the early automobile. For a full list of the 2014 award winners, please click here. While the awards reflect the true uniqueness of the participating vehicles, it is gratifying that funds raised by tickets sales of the Misselwood Concours d’Elegance are dedicated directly towards student scholarships, providing current and future students the opportunity to start or successfully finish their educational dreams at Endicott College. 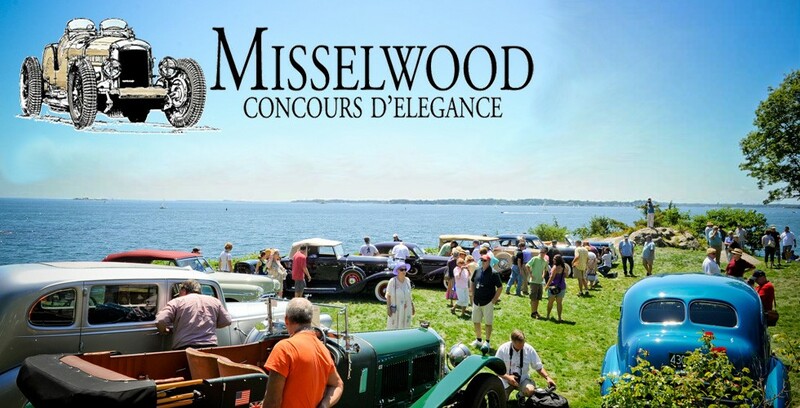 Linking classic cars and motorcycles with supporting young adults in their pursuit of a college degree makes the Misselwood Concours d’Elegance truly distinctive. Those not yet familiar with this region of New England should come and discover the history, traditions and rich heritage of the area and explore everything from scenic route 127, to Beverly, Salem, Gloucester andr Cape Ann. The area of the concours was often referred to as the “Gold Coast”, and became a summer destination for wealthy Bostonians and New Yorkers in the late eighteenth and early nineteenth century. Set in this idyllic backdrop, literally at the edge of the Atlantic Ocean the Concours celebrates its 6th anniversary on Saturday July 25 and Sunday July 26, 2015 and the organizers look forward to welcoming back show car owners and classic car lovers to this beautiful setting in coastal Massachusetts. On May 22, 1955 Moss and navigator Denis Jenkinson won the punishing Mille Miglia to score Mercedes-Benz’s first victory of the World Sports Car Championship season. The epic 1000mile open road race around the Italian peninsula took Moss nearly ten non-stop hours. The speed record he set 60 years ago still stands. Less than a month later Mercedes’ withdrew from the 24 Hours of Le Mans after an accident involving one of the team’s 300SLRs and an Austin-Healey. Moss and his co-driver, reigning World Champion Juan Fangio, were leading by nearly three laps when the decision to withdraw came from Germany. The retirement cost Moss another career first as the only man to win the Mille Miglia and the 24 Hours of Le Mans in the same season. In July 1955 Sir Stirling won his home Grand Prix at Aintree, England in the 300SLR’s stablemate, the Formula 1 Mercedes-Benz W196. 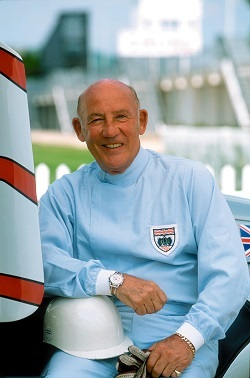 It was the first of 16 World Championship F1 victories for Moss. In October, Moss clinched the World Sports Car Championship for Mercedes-Benz winning the Targa Florio racing the same 300SLR that had carried him to victory in the Mille Miglia and the Tourist Trophy in Dundrod, Ireland. 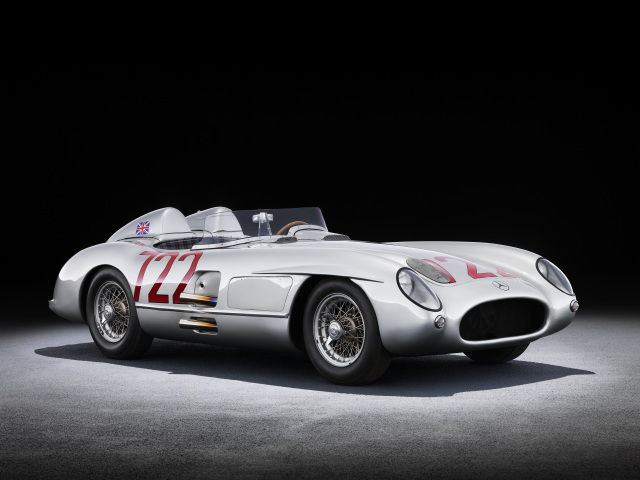 Moss and his 300SLR were the common denominator in the 1955 World Sports Car Championship season winning half the races of the six-race World Championship for Mercedes-Benz. The 2015 Amelia Island Concours d’Elegance will be held March 13-15th on the 10th and 18th fairways of The Golf Club of Amelia Island at The Ritz-Carlton, Amelia Island. The show’s Foundation has donated over $2.5 million to Community Hospice of Northeast Florida, Inc. and other charities on Florida’s First Coast since its inception in 1996. In 2013 the Amelia Island Concours d’Elegance won Octane Magazine’s EFG International Historic Motoring Event of the Year award. Now in its third decade, the Amelia Island Concours d’Elegance is among the top automotive events in the world. Always held the second full weekend in March, “The Amelia” draws over 300 rare vehicles from collections around the world to The Golf Club of Amelia Island, The Ritz-Carlton, Amelia Island for a celebration of the automobile like no other. 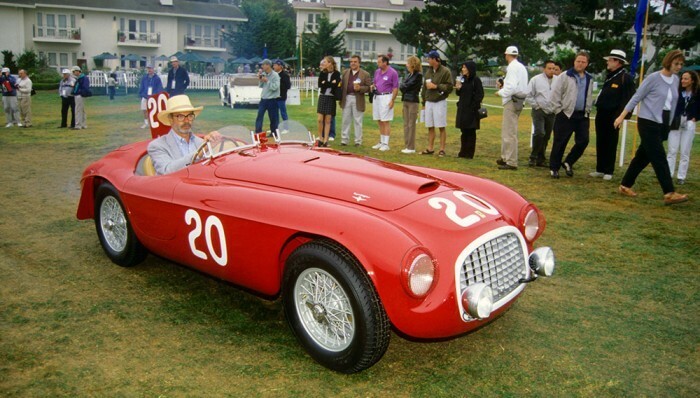 The 20thannual Amelia Island Concours d’Elegance is scheduled for March 13-15, 2015. For more information, visit www.ameliaconcours.org or call 904-636-0027. 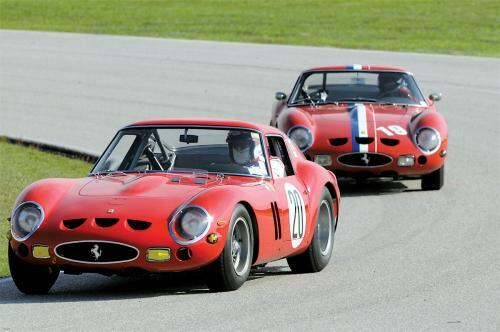 The 24th annual Palm Beach Cavallino Classic will be held January 21-25, 2015. This extraordinary gathering is a multi-day convention of automotive owners and collectors and participants attending with their 400 exotic and classic automobiles from the U.S and Europe. 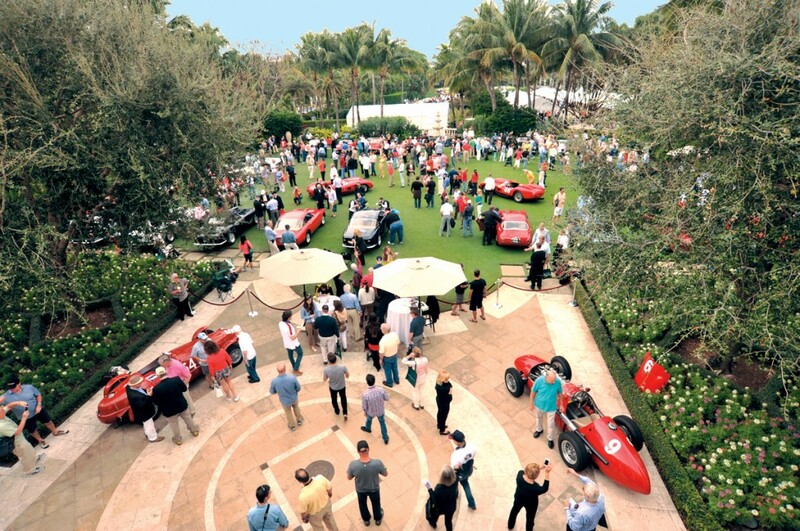 The Palm Beach Cavallino Classic is regarded as one of the top automotive events in the world and the premier Ferrari event in the US. The winners of three different Cavallino Classic Best of Show Awards have gone on to win the prestigious international Louis Vuitton Classic Concours Award for the ultimate Best in the World automobile. There are two days of track at the Palm Beach International Raceway, including the fourth year of the Cavallino Classic Competition, a racing program for older Ferraris, Maseratis, and pre-war race cars. There is a Tour of Palm Beach, which will take visitors through the most elegant and beautiful sites of the town and its surroundings. There are evening events also: a Jet Aviation party at Palm Beach International Airport and a Beach Club gala at a members-only Breakers Hotel venue. 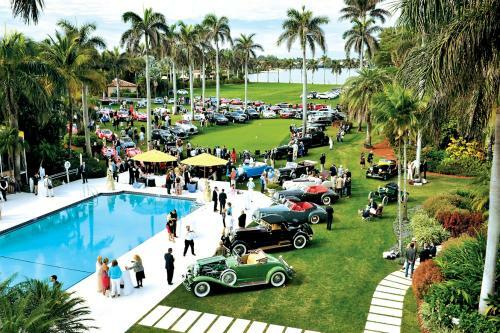 The premier event of the weekend is the Concorso d’Eleganza on the front lawn of the famous Breakers Hotel in Palm Beach on Saturday, January 24. A total of 150 Ferraris will be judged by leading international experts. Awards are distributed at a gala evening party after the Concorso. This exceptional week is crowned with an unrivaled Sunday program – Classic Sports Sunday held at the exclusive and private Mar-a-lago estate on January 25. Here 120 vintage and classic sporting automobiles of various marques will be displayed and judged on the lawn. This year’s featured marque will be Bugatti. Awards are presented at a charity luncheon for the American Council of the Blind held in the opulent ballroom. The entire Ron Pratte Collection will be auctioned during the 44th Annual Barrett-Jackson Scottsdale Auction in January 2015. SCOTTSDALE, AZ – Barrett-Jackson Auction Co. will auction more than 100 vehicles from the world-renowned Ron Pratte Collection on Tuesday, Jan. 13, 2015, beginning at 9 a.m. MST at WestWorld in Scottsdale, Ariz. 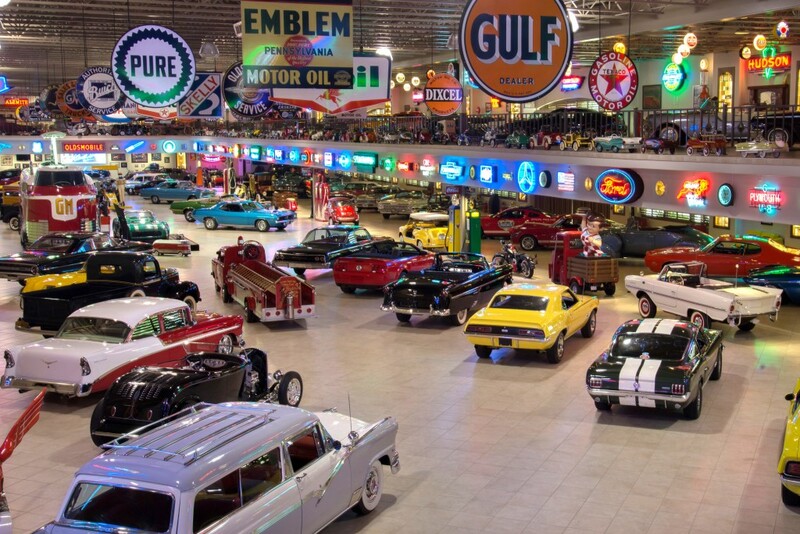 Selling at predominantly No Reserve, The Ron Pratte Collection includes 140 collector cars, trucks and motorcycles, and over 1,400 pieces of automobilia. The Ron Pratte Collection sale will kick off with his incredible compilation of automobilia on Saturday, Jan.10, at 9 a.m. MST and continue through its culmination on Tuesday, Jan. 13 at 1 p.m. The Pratte vehicles with lot numbers between 2000 and 2109 will cross the block on Tuesday beginning at 4 p.m. The remaining Pratte vehicles, with lot numbers starting at 2500 and above, will be crossing the block on Saturday, Jan. 17. The Collection being auctioned on Tuesday, Jan. 13, includes an impressive mixture of vehicles, including a ’69 Chevrolet Yenko Chevelle 2 door hardtop (Lot #2016), one of only 22 still in existence and the only one known to exist with a column shift; a ’29 Indian 401 motorcycle (Lot #2058), which was restored to as-new condition and is ready to be ridden; and a ’69 Ford Mustang Boss 302 Fastback (Lot #2049), one of the rarest Mustangs available with its original engine, transmission and rear end. Beginning December 11, collectors can follow Barrett-Jackson’s “30 Days of Pratte,” an exclusive look inside the legendary Ron Pratte Collection featuring one Pratte-owned vehicle a day leading up to the first day of the Barrett-Jackson Scottsdale Auction. For a complete listing of The Ron Pratte Collection, visit www.Barrett-Jackson.com. Live coverage of the Barrett-Jackson Collector Car Auction in Scottsdale will be broadcast on Velocity and Discovery during 36 hours of live, high-definition TV coverage from Tuesday through Sunday, Jan. 13-18. Established in 1971 and headquartered in Scottsdale, Arizona, Barrett-Jackson, is the leader in collector car auctions and automotive lifestyle events. The company produces auctions in Scottsdale, Arizona; Palm Beach, Florida; Las Vegas, Nevada; and Reno-Tahoe, Nevada. With broadcast partners Velocity and Discovery Channel, Barrett-Jackson will feature 100 hours of live television coverage in 2015, including live international coverage in both Canada and Latin America. Barrett-Jackson also endorses a one-of-a-kind collector car insurance for collector vehicles and other valued belongings. London – RM Auctions will return to Place Vauban in Paris on 3-4 February, 2015 for its annual sale during the Retromobile show week. A permanent fixture on RM’s global calendar, the Paris auction will open the company’s 2015 European calendar with a roster of 60 automobiles. “Paris 2014 was an important sale for RM, as it allowed the company to establish an auction in what is regarded as one of the most important weeks on the European collector car calendar. After such an incredible debut sale last year, we are excited to return with what is already shaping-up to be a wonderful roster of cars,” said Augustin Sabatié-Garat, Car Specialist RM Auctions. Leading early entries is a 1935 Delahaye 135 S, chassis no. 46094. The Delahaye has resided in France all of its life, including many years in the ownership of Jean-Philippe Peugeot, of the Peugeot Motor Company. It raced competitively from 1936 through 1949, extensively in the hands of the well-known French driver, Joseph Paul. In addition, it was a competitor at many Grand Prix events throughout the 1940s, claiming victory at the Grand Prix des Frontières in the hands of Willy Mairesse. A veteran of no less than three 24 Heures du Mans, the car’s most notable performance came in 1937 when Joseph Paul and Marcel Mongin piloted it to second position overall in the famed endurance race. For decades, chassis 46094 has been a familiar sight on the international classic car scene, competing in many of the world’s leading historic races driven by its former owner, Jean Sage. Suitable for road or track, it’s a versatile entry into almost every significant event around the world (Est. €1.200.000 – €1.600.000). Another early highlight from the RM Auctions Paris 2015 sale with French history and one set to command strong local interest is the 1934 Lancia Belna Eclipse. 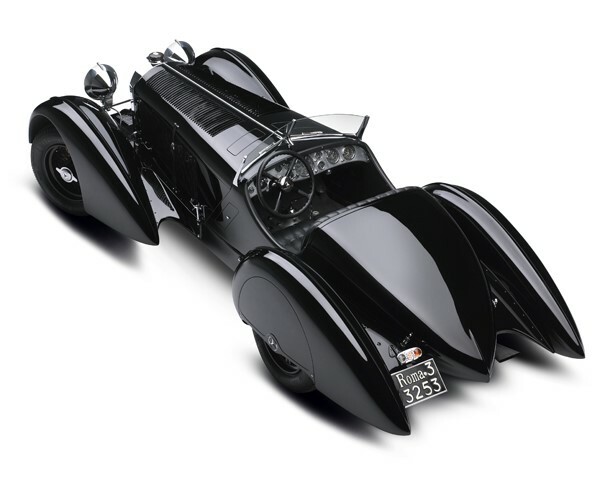 The Lancia features coachwork by Pourtout and dramatic Art Deco design by Georges Paulin, a dentist who sketched many of the most beautiful French automobiles of the pre-war period and went on to be a hero of the French Resistance. Paulin was a pioneer of aerodynamic design and new ideas in coach-building, most prominently, one of the world’s first retractable hardtops, which he dubbed “Eclipse.” A simple system, it featured a one-piece hardtop that unbuckled at the windshield frame, with a reverse-hinged rear deck that would be raised to store the hardtop underneath. The patented design was simple and effective and was mainly utilized by French coachbuilder Marcel Pourtout up to the outbreak of World War II. Paulin then went on to join the war-time Resistance movement, passing secrets along to agents who would come to his dental office, until he was tragically captured and executed on March 21, 1942. The Lancia on offer, chassis F341349, is one of only two known examples featuring the Pourtout-built Eclipse coachwork. Built on a French-manufactured Belna chassis, it was discovered by its present owner in Tennessee and was duly restored to feature its current black and bright yellow paintwork with a genuine ostrich skin interior. Widely shown at various American Concours d’Elegance events, including at Pebble Beach in 2004, it has been awarded a string of accolades over the years, including Best in Class at the Amelia Island Concours d’Elegance (2005), and the Concorso Italiano (2006), along with being judged 99.75 points by the Classic Car Club of America (Est. €300.000 – €375.000). The February 2015 sale follows in the footsteps of the company’s debut in the French capital earlier this year, an event which grossed €17.7 million in sales and was headlined by a 1955 Jaguar D-Type at €3.696.000. The RM Auctions Paris 2015 auction will be held at Place Vauban immediately after the Festival Automobile International, 4 December 2014 to 1 February 2015. This event will gather a display of concept cars and pay tribute to car designers from around the world. For further sale information, or to view a frequently updated list of entries, visit www.rmauctions.com or call RM’s London office at +44 (0) 20 7851 7070.